Good morning and Happy Wednesday. 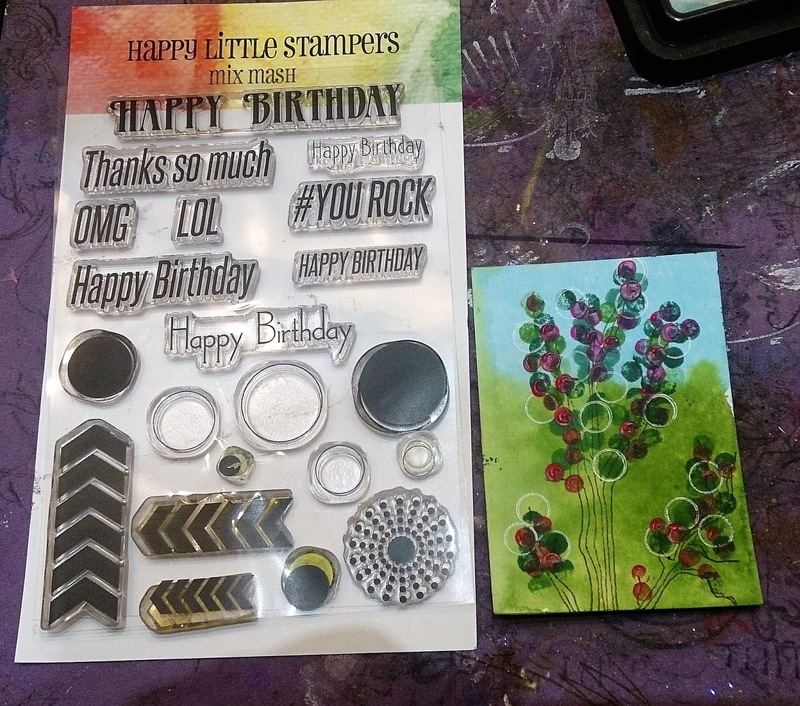 Happy Little Stampers currently have an ATC challenge which is 'trees'. Here's mine. I started with a watercolour background, and then stamped my PaperArtsy tree stamp from JOFY15. Mmm looks a little bare! 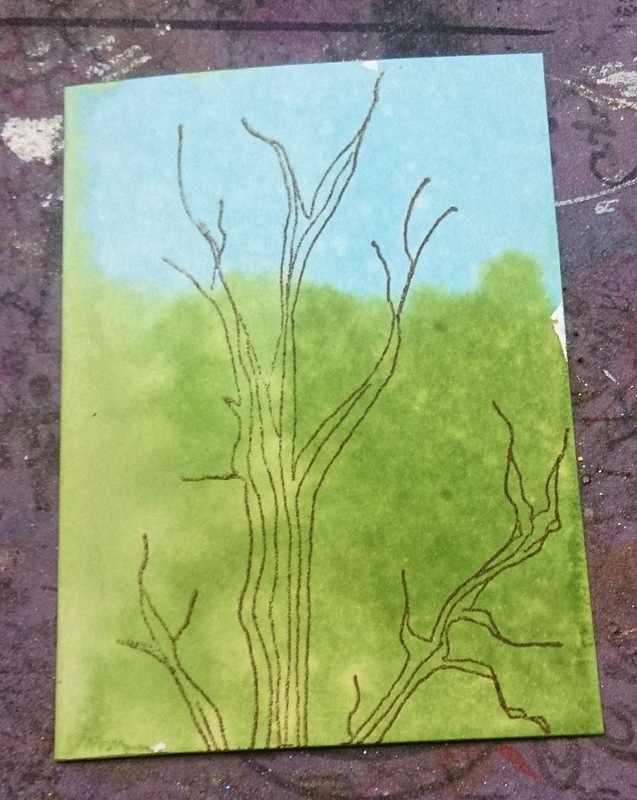 So I used 2 of the tiny stamps from the HLS Mix Mash to add some foliage. And finished off with some paint spatters and sequins. I really enjoyed making this, so nice to get something started and finished in a day lol. 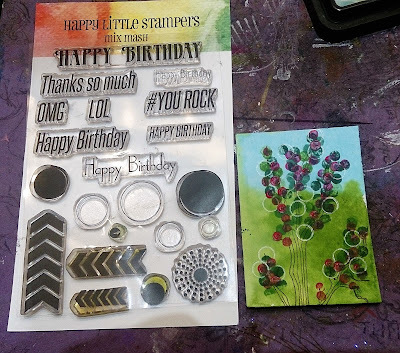 I'm also entering this into the Happy Little Stampers watercolour, and 'anything goes with HLS challenges, and PaperArtsy's ATC challenge. 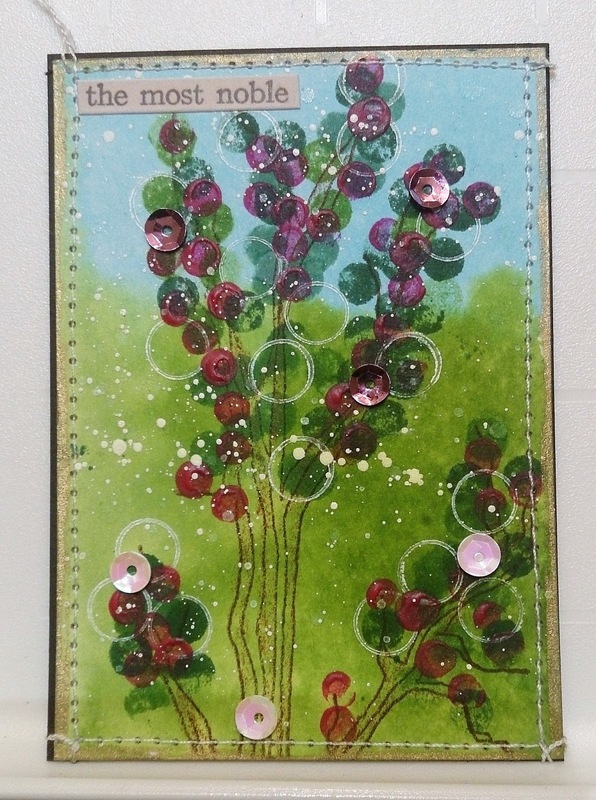 This is beautiful Sue, love how the bare tree branch has been built up, love the colours and the addition of those sequins. May be small but this little treasure is beautiful. I love the colours and the sequins. I have just used sequins on a card and must say how they do improve the finish.Also managed to glue them without them falling straight off again so that was an added bonus!! Hugs Mrs A.
I know I have not been around much lately but I had to drop in and tell you how fabulous your work of art is -- and YES! it is a work of art! A gorgeous card Sue and inspired use of the texture stamps too. Your finished tree looks fabulous. Love how you have built up your design Sue. Nice happy scene.